The Arch of Victory is of architectural significance to State being an outstanding landscape monument, in the tradition of the Roman and Napoleonic victory arches erected across major routes or carriageways. 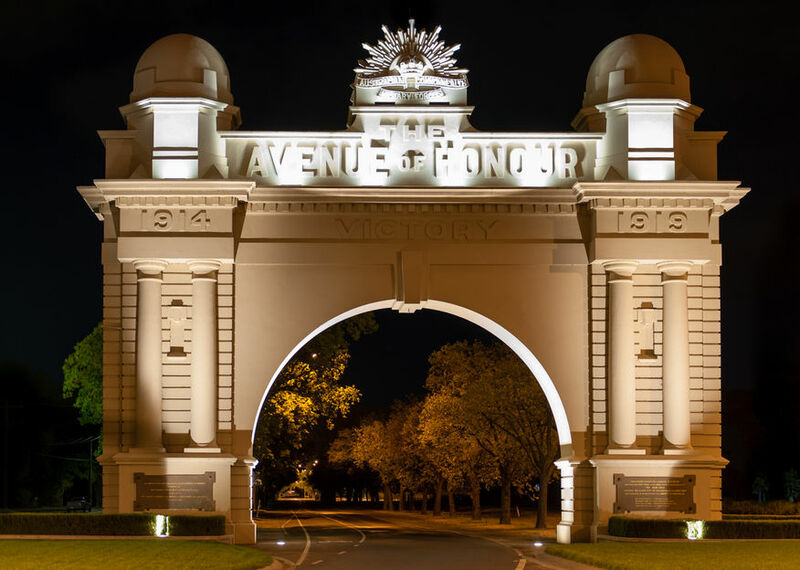 It is the only memorial arch in Victoria constructed at such a grand scale. It is a Heritage Listed Location and during the summer months you can capture the sun setting as it faces due east/ west. Being lit at night also makes it an ideal place for car trails photography.